For a while now we have been on the hunt for a drink dispenser. I am picky to say the least. There will always be something I don’t like about a dispenser. I want the spout to be metal or the top to screw on. Things like that. So I started hunting for one online. I thought I would share a few that caught my eye and ones I am eyeing pretty closely. 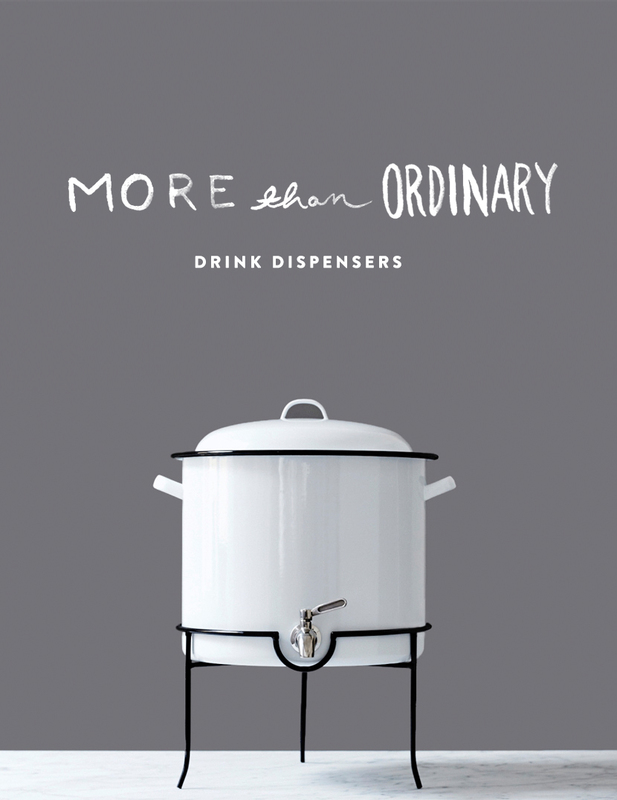 Personally I love the hand blown dispenser from Food52 and the steel and ceramic one as well. They are unique and beautiful in a way you don’t normally see on a shelf every day. I would love to hear what you think about drink dispensers. Have you found one you really like? They are an essential piece to entertaining no matter the season. I love that stainless steel ceramic one and the one posted with the title. (: I’ve never really looked into drink dispensers, but I’d imagine a copper one would be pretty sweet. Good luck on your hunt! I love pretty drink dispensers as well. 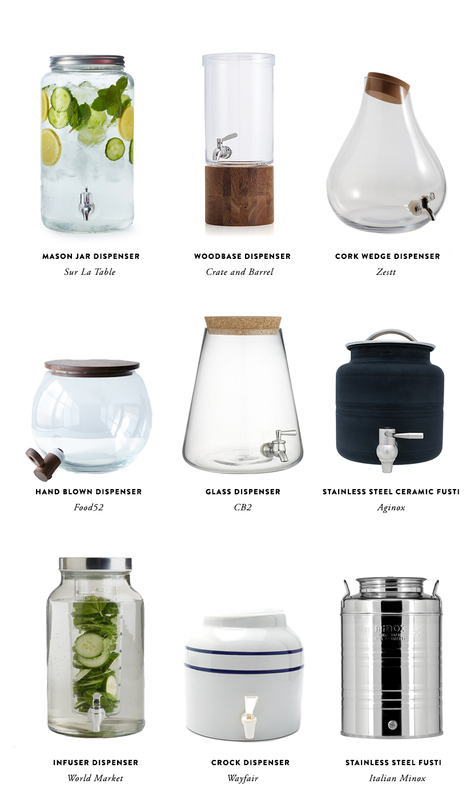 The mason jar and Infuser dispeNsers are my favorites. They look sleek and are functional. I have a mason jar style one and love it (it’s actually from ace hardware!) but we’ve only used it a couple times. Unfortunately, we don’t get around to hosting enough people to lug the big thing out! I love that woodbase dispenser. OOOOOH, that crate and barrel one! SO good. That stainless steel ceramic one is EVERYTHING. A great fit aesthetically for parties all year round, not just summer!